Vancouver is known for its mountainous views, vast wildlife and diverse culture. Vancouver is also known as a very eco-friendly city. But, did you know about its community gardens? Community gardens are one of the ways Vancouver tries to stay on top of the demand for green space. A community garden is a single piece of land gardened collectively by a group of people. They provide access to fresh produce and plants as well as access to satisfying community work, neighborhood improvement and a sense of community and connection to the environment. Community gardens have existed for a long time, since cities began, and peaked in Canada during the two World Wars. The number of community gardens made a comeback again in the 1980s and have been popping up around the city ever since. In May 2006, Vancouver City Council encouraged 2,010 new garden plots by January 1, 2010, as a legacy of the 2010 Winter Games. 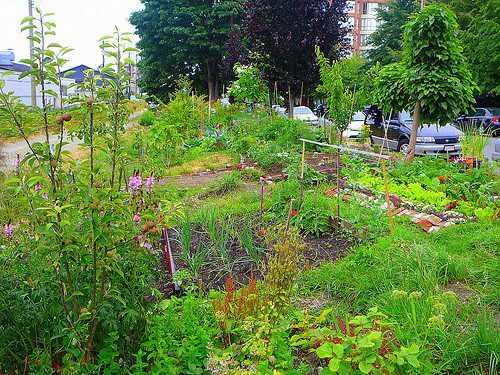 As Vancouver grows, more green space is demanded, thus the demand of community gardens are increasing. Now, thanks to a grant from the City’s Host a City Happening Program, new brochures which feature walking tours around Vancouver’s 44 community gardens are available in public libraries, neighborhood houses, community gardens, Vancouver City Hall, Community Centres, Vancouver farmers markets and special events across the city. Every second Sunday of June, July, August and September, gardeners will be at select gardens between 11am and 1pm to answer questions from people taking the tours. Let’s take a look at some of the ways that community gardens are improving Vancouver’s neighborhoods. Partnering. The Host a City Happening Program encourages Vancouver residents and non-profit organizations to partner with the City of Vancouver to create special City Happenings – events and legacy projects that reflect the Olympic and Paraolympic values of friendship, solidarity, peace, fair play, optimism, inspiration and empowerment. Improves the look. Vancouver community gardens are improving the look of neighborhoods. 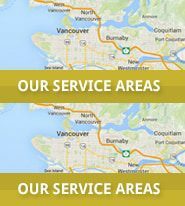 It provides more natural crops and plants to grow and thrive in the communities of Vancouver. Promotes Sustainability. Living conditions are better when there are naturally made products and carbons in the air. Vancouver is all about being good to the environment. Urban greeting. Community gardens are a great way to bring people together. Decreases reliance on fossil fuels. Community garden advocates point out that locally grown food decreases a community’s reliance on fossil fuels for transport of food from large agricultural areas. Since most of the work is done manually, it also decreases the level of fossil fuels used in agricultural machinery. Food security. Since citizens grow their own food or food for others to donate, it gives a sense of food security since the gardeners are closer in touch with their sources of food. Costs for community gardens are very inexpensive and usually run between $15-20 annually.